Jeremy has made another new invention! 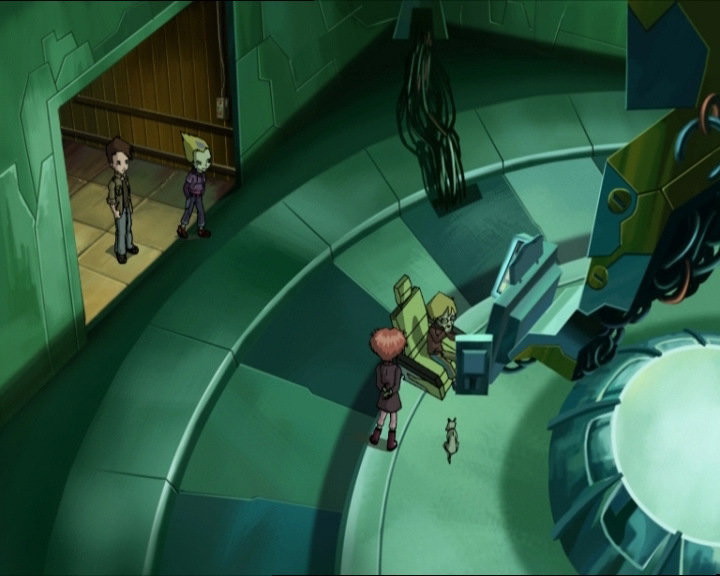 He announces it to Ulrich and Odd, accompanied by Aelita under the arches. Thanks to this program, he’ll be able to launch a wider search in the network to find traces of William’s bio-signature and bring him back to the real world. This program will be an upgrade for the Skid’s sonar. Hiroki then appears and like Johnny, he wants to speak to Ulrich in private. Hiroki knows that Ulrich is good with the girls. Ulrich remains modest, saying that it depends on the girl. When Hiroki mentions his sister, Ulrich digs his heels in a little, saying that they’re just good friends and that’s all. Hiroki murmurs that that’s what Yumi made him think. Nonetheless, he drops the subject and tells Ulrich why he wanted to talk: he has a thing for Milly. Ulrich tells him that in order to get close to Milly, he should talk to her about things she’s interested in: journalism, for example. Even better, he proposes that Hiroki try and find her a scoop. Hiroki says he already has an idea and runs off without saying anything, leaving Ulrich feeling suspicious about the nature of this scoop. We find Hiroki at the drinks machine, hiding from his sister. As soon as Yumi puts her bag down to get a drink, the Japanese boy strikes, opens the bag and takes Yumi’s diary. He tries to sneak away unnoticed, but Yumi spots him. A chase around Kadic begins. Between the two cafeteria buildings, Hiroki runs into Odd but continues his run through the park. Yumi follows close behind. While the siblings chase each other, Odd notices the diary Hiroki dropped. Inside, there’s a photo of Ulrich. 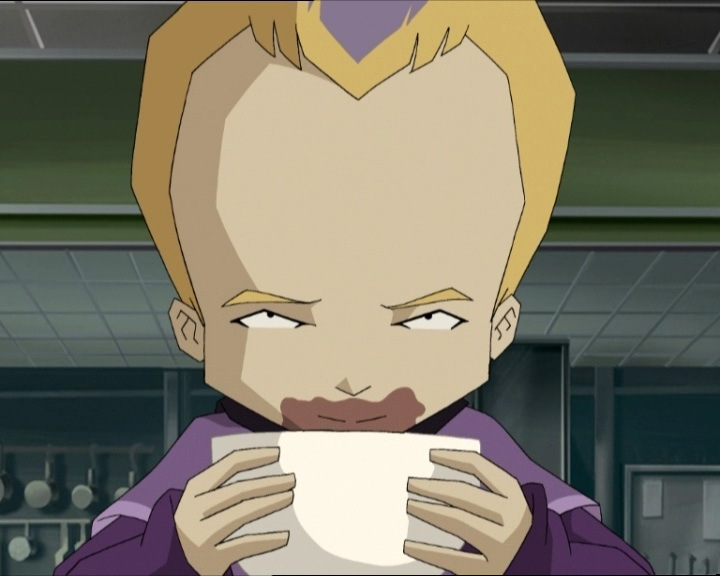 When he realises that the owner of the diary is none other than Yumi, Ulrich closes it and takes it from Odd, stating that what’s inside is none of their business. Hiroki is cornered by Yumi and realises that he’s lost the diary. Yumi orders him to find it no matter what. Jeremy comes to inform Yumi and the others that a Skid mission has been organised for that afternoon to find William. Ulrich gets ready to give the diary back to Yumi, but he sees Hiroki arrive looking sheepish, announcing to his sister that he couldn’t find the diary. Yumi coldly tells him that until it’s back in her possession, he can consider himself an only child. Witnessing this terrible sight, Ulrich keeps the diary secret and prepares a plan to stage Hiroki finding it. He guides Hiroki’s search to a pile of leaves where the diary could be hidden. Without any explanation, Hiroki finds the diary…or rather, its cover! The contents has disappeared! Yumi comes across the scene and her negative feelings for Hiroki grow. Ulrich wonders about the mysterious disappearance, but he doesn’t have time to check, the heroes are off to the Digital Sea. 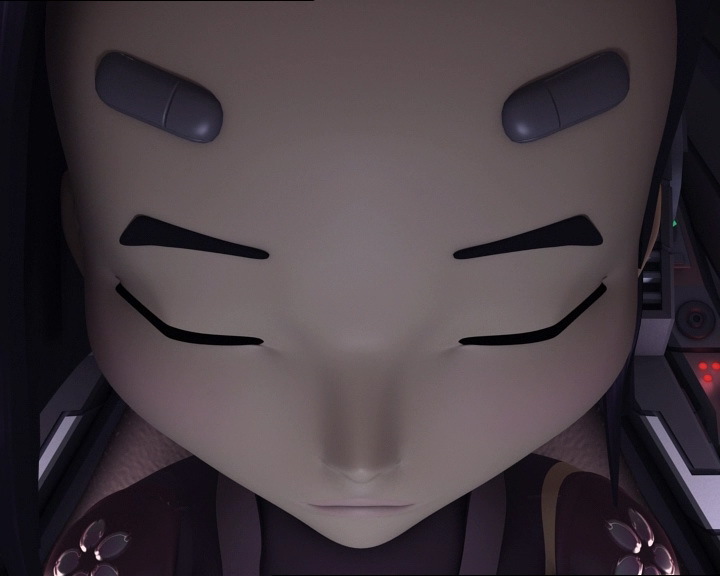 Aelita and Jeremy launch a search for Yumi and try to repair the Skid. Pensive in the park, Odd and Ulrich make a surprising discovery: the rest of Yumi’s diary, held in Kiwi’s mouth. Seeing his master bury the book, Kiwi must have thought it was a game, dug it up and buried it again somewhere else. 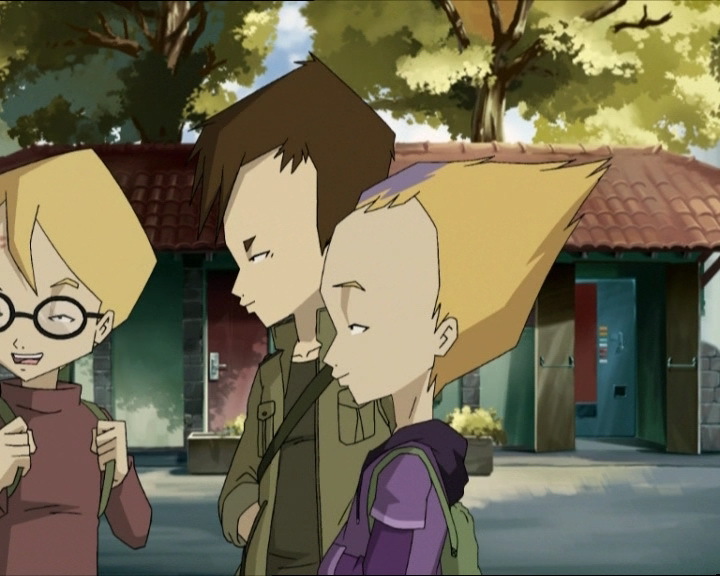 Not long after, Aelita and Jeremy contact their friends, believing they’ve found Yumi. The Japanese girl, who was adrift after being sucked into a Hub, was noticed thanks to the explosion when she fired her last torpedo at a Kongre that attacked her. While waiting, she had remembered nice things she and Hiroki did together, realising that if she becomes digital forever, she’ll never make up with him. A new Kongre arrives, the messenger of doom. Yumi grits her teeth, but the monster doesn’t attack… It is replaced by a vessel, but it’s not the Skidbladnir: it’s the Rorkal, a vessel controlled by William. It sends two torpedoes to destroy Yumi’s Navskid. 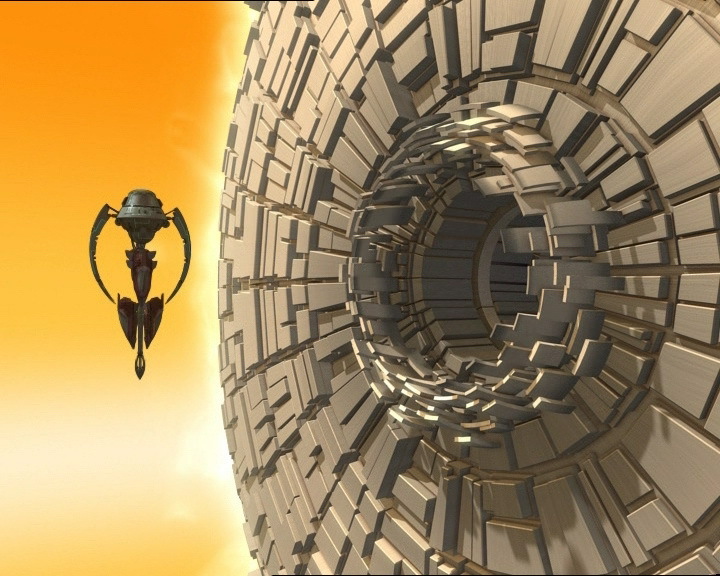 Luckily, she’s saved by the Skid when it takes the torpedoes for her: Aelita has returned just in time! She releases the Navskids and the two friends exterminate the Kongre and William, and his vessel explodes. 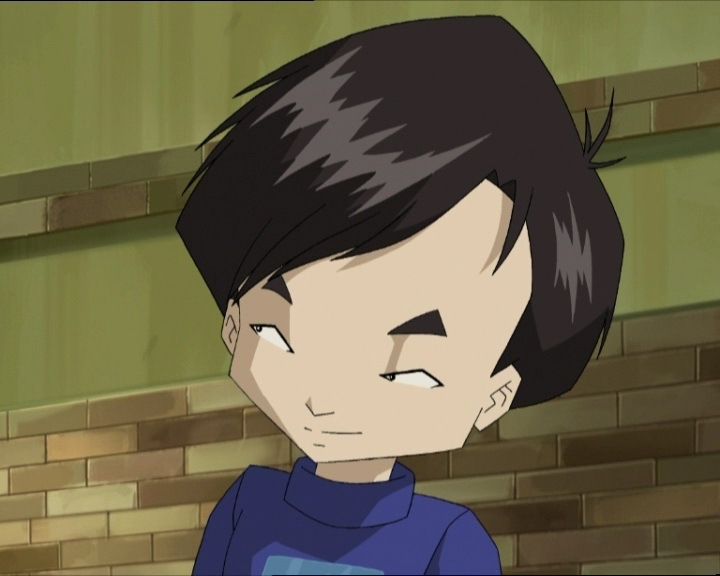 Back on Earth, Ulrich goes to Yumi’s house in the evening to return the diary. She believes it was Hiroki who found it and apologises for everything. 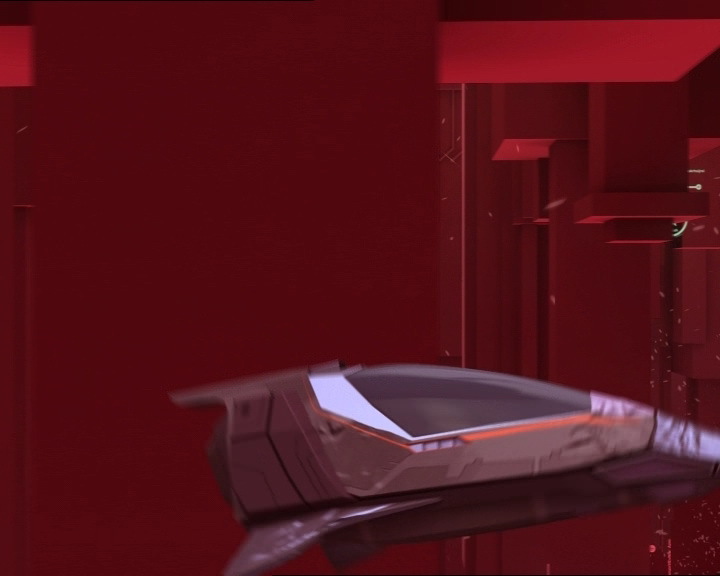 - Discovery of William’s Navskid: the Rorkal. This vehicle has no known official English name, but it can be translated as Whale. - First appearance of Milly and Tamiya's new outfits. - Hiroki is crushing on Milly Solovieff! He also skipped a year in school, meaning he's a year younger than his classmates. - Second time Ulrich defeats William. - According to Hiroki, Ulrich is very successful with the girls at Kadic. - Ulrich is beginning to doubt the fact that Yumi only wants to be friends with him. - Discovery of a photo of Ulrich in Yumi's diary. - Yumi, drifting in the network onboard her Navskid, says she is cold. However, it has always been relatively clear that in the virtual world, one cannot feel temperature. - The microphone cable disappears after Jeremy puts it on. 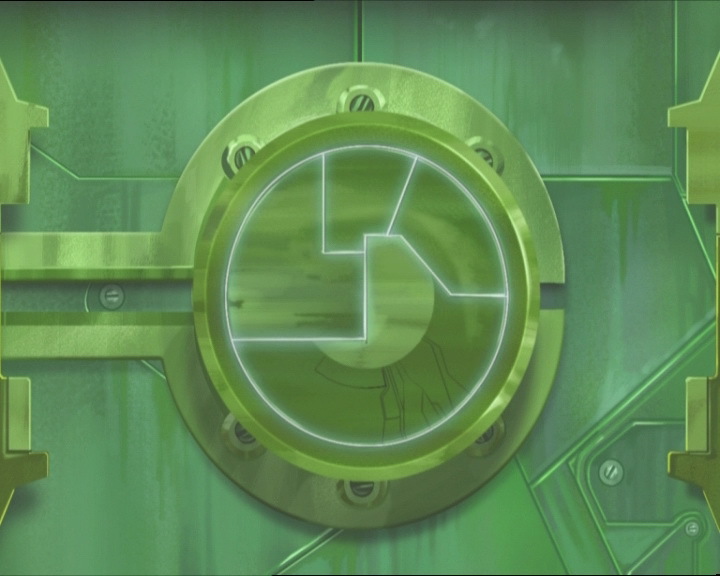 - This episode reminds us of episode 4 “Log Book” in which Ulrich lost his diary. - Jeremy created a sonar for the Skid allowing them to localise William. - Final appearance of Kongres. - First mention of the program that records combats in the network. - First appearance of William in the network onboard his Rorkal. - Only episode in which Yumi uses her telekinesis in the network. - The sentence Yumi says when she's drifting in her Navskid suggests that the Digital Sea is very cold! Casanova was an Italian in the 18th Century. He had a number of jobs in his lifetime: abbot, officer, scholar, writer, banker, rogue, magician, swashbuckler, spy, diplomat! A Casanova is therefore an extremely cunning, resourceful and adventurous person! But the term also refers to someone who likes women more than the average man does. 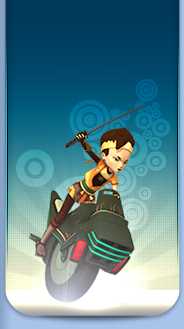 Odd: Hey there, Aelita! Einstein isn’t with you? Aelita: I haven’t seen him yet today. Ulrich: Speak of the devil, look who’s here! Odd: Hm…let me guess, you fell asleep in front of your computer again! Jeremy: Uh…yeah. How’d you know? Odd: The imprint of your keyboard’s on your forehead! Jeremy: I was up all night working on a program, I came up with an idea for bringing William back! Hiroki: Hey Ulrich, could I talk to you for a sec? Ulrich: Uh, well, if you really have to, yeah. (To the others) Go ahead, I’ll meet you inside. Ulrich: Just talk to her about the things she likes, her interests! You know she’s got a passion for journalism! Hiroki: Great idea! It’d be great if I could find her a scoop…she’d be crazy about me if I did! Ulrich: Uh…yeah, a scoop for the paper, but uh, just what kind of scoop? Hiroki: Oh you can leave that to me, Ulrich! Odd: You sure look far away, Ulrich. Ulrich: It’s nothing, just thinking about something Hiroki said. Odd: Oh yeah? Well what was that? Odd (after being knocked over by Hiroki): What’s wrong? Does Sissi want to go out with him or something? Ulrich: Is this yours, Odd? Odd: Huh? You kidding me? A notebook with a dark cover and a flower is not my style! Yumi: Give it back right this second, you brat! Hiroki: Oh come on sis, I was just kidding! Er, look, here it is…uh…huh? Well it was here! Yumi: You’d better be kidding! Odd: Hey, that’s a pretty good shot of you! Who’s your secret admirer? Let me see! (Ulrich moves away) It’s Yumi’s right? Ulrich: It’s her diary. That’s why she was running after Hiroki. Odd: If you ask me, this is a great chance to see what she thinks of you! Ulrich: Oh no, what’s written inside here is not my business! And don’t forget that Yumi and I are just good friends, that’s all. Ulrich: Well…actually I’m not sure at all! Odd: So what’s the deal? I thought you were gonna return the diary. Ulrich: Well you saw how crushed Hiroki was, if I’m the one who gives the diary back, Yumi’ll still be angry with him! 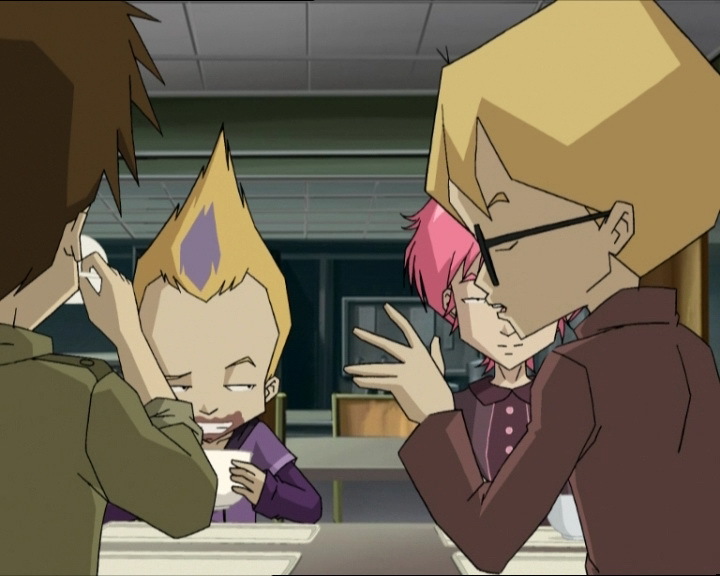 Ulrich: So what if we fix it up so that Hiroki finds the diary and gives it to Yumi himself? That’s two birds with one stone: she gets her diary back, and he gets his sister back. Pretty good idea, huh? Odd: Yeah, great. But, how do you plan to do it? Ulrich: Hide the diary under a pile of leaves in the park, near the garden shed. I’ll take care of Hiroki. Odd: Ok, but give me a few minutes! I’ve gotta go get Kiwi first, I forgot to walk him this morning! Yumi: You mind telling me what you’re doing? (She sees the diary empty and gasps) I’ll never forgive you for this, Hiroki! Odd: Don’t look at me like that, it was all there when I hid it! Odd: Yumi’s in a foul mood! You’d better tell her the truth about her diary. Ulrich: And how do you think she’ll react when she finds out that you were the one who hid it? Odd: Hey, this was your idea, Casanova! Odd: Ok, next mission: diving into my pillow and burying myself under the covers! Objective: a good night’s sleep to clear my head. Yumi: Take this, fish face! Odd: Not bad! Yumi’s pretty effective when she’s mad! Ah! I’ve got one on my tail! Oh, it’s sticking to me like glue! Ulrich: Wanna team up for the last one? Odd: Yeah, let’s do it! Jeremy: Nice job, guys! Time to come home now. Jeremy: I don’t get it, I don’t have any trace of her…I’ve lost her! Aelita: She must have gotten hit by a Kongre! Odd: Einstein…you think she might have been virtualised for good? Jeremy: No, I…I don’t think so. The data recording from the fight doesn’t show any sign of her having been eliminated. 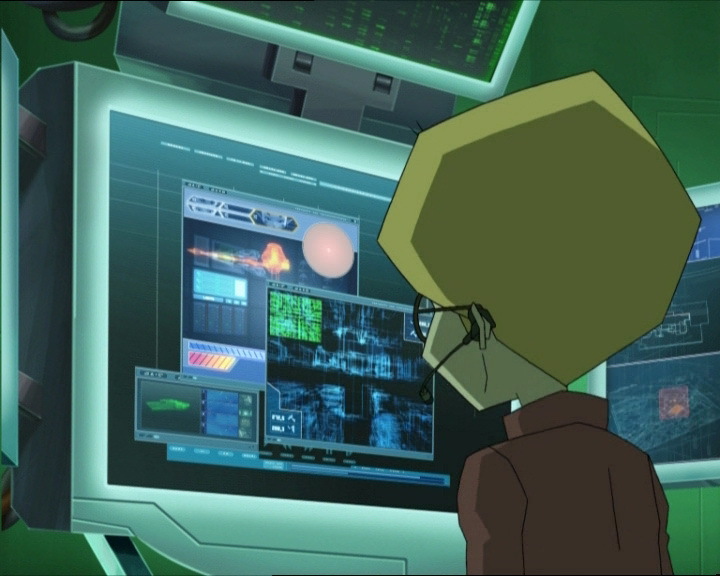 Aelita: That means she’s still somewhere on board her Navskid, somewhere in the middle of the Digital Sea! Jeremy: Right. But the Skid is in no condition to find her, you guys have to come back in for me to run a repair program. Ulrich: What?! No way! We can’t just leave her behind! Aelita: Ulrich, no-one’s leaving anyone, but all of us run the risk of being virtualised forever with the Skid’s systems down! Ulrich: Yeah…you’re right, we’d better go. Hiroki: Yumi…who am I going to play with if you go away? Yumi: No Hiroki, “foot” becomes “feet” in the plural. Hiroki: How do you know all that, sis? Ms Ishiyama: Oh, what are you two up to this time? Yumi: Oh, at least ten minutes! Yumi: Until you can find it, you can consider yourself an only child! Yumi: I’ll never forgive you, Hiroki! Jeremy: There she is! She must have gotten sucked into a Hub, that’s why we lost all trace of her! But the sonar is still down, guys. So going under right now is gonna be a big risk! 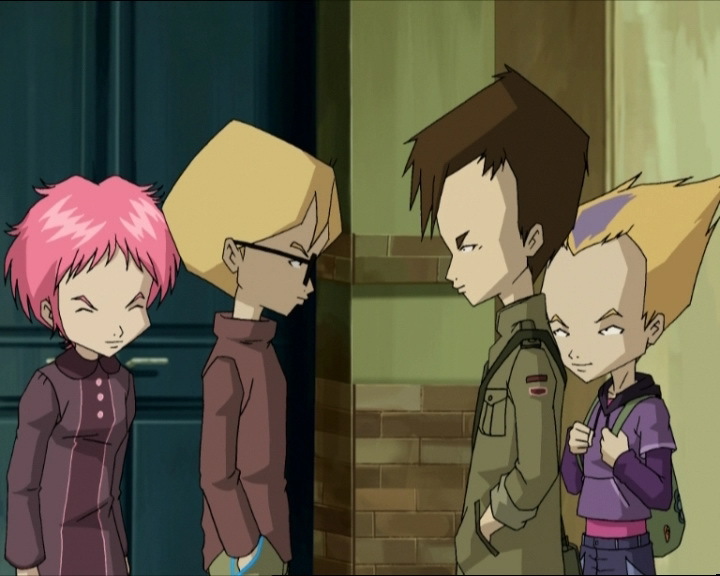 Aelita: Well what are we all waiting for? Yumi: It’s all over…what’s he waiting for? Aelita: Well Yumi, thought you’d wander off without telling us where you were? Yumi: It took you long enough to get here! Odd: I wouldn’t mind a little fish soup! Guess I’d better cook it though, first! Ulrich: Big mistake, William! Fire! Jeremy: Hey great job, now anchor yourselves to the Skid and head back in. Ah, they’re all coming home! Aelita: Not everybody. But one day, we’ll bring you back, William. Yumi: Thanks for bringing it back. You know, I understand now that what we have is more important than some old diary. I forgive you. Hiroki: Are you in love or what? Yumi: Argh! Get outta here!